Have a question? We’ve compiled an extensive Frequently Asked Questions list, ranging from dental insurance and billing to dental specialties and pediatric dentistry. Don’t see what you need? Feel free to call! We would love to provide you with any information you need. Do you have specialists, oral surgeons, endodontists, pediatric dentists? Specialists are dentists, often with advanced training, who limit their practice to one aspect of dentistry. All of our dentists are general dentists; however, we do have dentists in our practice with advanced training and experience and they do offer some services that are typically performed by specialists. In many cases, you can have the service you need, provided by a well trained and experienced professional, at our convenient hours and location, and at significantly lower fees than you would pay a specialist. You don’t have to be a patient of this practice to take advantage of these specialized services. It is perfectly acceptable to come to this practice for one specific service and then return to your regular dentist for your routine care – root canals, endodontics, molar root canals, retreating root canals, etc. Dr. Kathleen Hale has extensive postgraduate training in endodontics and has performed literally thousands of root canals. Her endodontic treatment is quick, comfortable, and reasonably priced. Many doctors in this practice and other practices in the area refer their patients to Kathleen for endodontic treatment. 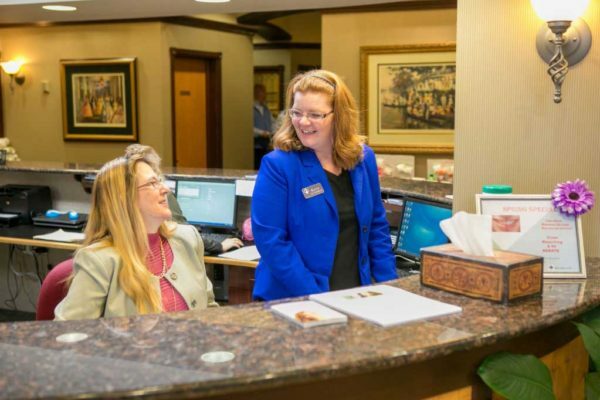 Dansville Dental Professionals also performs oral surgery, wisdom teeth removal, 3rd molar removals, and exposing teeth for orthodontic treatment. We also offer prosthodontics (dentures, partials, bridges, crowns), pediatric dentistry (children’s dentistry), implant restoration services, TMJ/TMD (temporomandibular joint dysfunction), facial pain evaluation, and conscious sedation, which are typically performed by dental specialists. Dr. Kenneth Hale has many years of surgical experience and will be happy to discuss your dental needs with you. In most cases the answer is yes. If we can verify with your insurance company that you have coverage, and can determine the specifics of your coverage, we will accept the insurance. This means that we will handle the processing and billing of your insurance for you and will wait for the insurance to reimburse us. You will be asked to pay your co-pay and deductible (if any applies) at the time that the service is provided. Of the hundreds of insurance plans we deal with, there are a very few insurance companies who will only send payment directly to the patient. If your insurance is one of these rare exceptions, we will still be happy to process your insurance for you. However, you will be asked to pay the balance in full at the time of service and the insurance rebate will be sent directly to you. We are willing to accept a credit card payment or hold a check for you for 30 days to give you time to receive the insurance payment to cover your check. For more information about dental insurance see our Dental Insurance page or call our office. Do you participate in my insurance plan? We do “participate” with some insurances and the participation varies by location. For specific information on your plan, please call the office. All providers below are accepted at the Dansville Location only unless otherwise noted. This list changes periodically so if you don’t see your insurance listed, please give us a call. We do request payment at the time that services are provided. We accept most dental insurances and we also accept MasterCard, Visa, and Discover. We also offer a variety of extended payment plans. We provide written estimates and will be happy to discuss fees and treatment options with you before providing any services. We will work with you to tailor your treatment to fit within your budget. At what age should kids start going to the dentist? Generally speaking, we like to start seeing kids at about age three. However, if there is any concern to be addressed before age three, we will be happy to evaluate the child before then. At what age should the first adult teeth begin to show? The first adult teeth to erupt in most cases are the “six year molars”. These are the adult first molars and generally appear farther back in the mouth than all of the baby teeth and usually begin to erupt at about age six. Tooth eruption is generally earlier for girls and later for boys. The next adult teeth to erupt are usually the lower front teeth, which begin to appear at about age seven. The last of the baby teeth are not lost until the early teen years. At what age should braces be considered? This depends greatly upon the situation. In some cases it is best to do some early orthodontic treatment to address issues of growth and jaw size or tooth eruption. However, in most cases, braces are not started until all of the baby teeth are gone, or the early teens. What if adult teeth come in behind the baby teeth? Adult teeth generally come in behind the baby teeth on the lower jaw and above or in front of the baby tooth on the upper jaw. If the adult tooth is clearly visible but the baby tooth is still present, you should see the dentist. It may be recommended that the baby tooth be removed by the dentist. What should I do if I fall and break off a front tooth? Falling and injuring a front tooth is fairly common, especially in kids ages 8 – 15. There are many good treatment options available. In most cases the broken tooth can be repaired quickly and comfortably in such a way that it will look as though it were never broken. Treatment options depend greatly on the severity of the break. Get to your dentist as quickly as is reasonable. It is not necessary that you find the broken piece before coming. 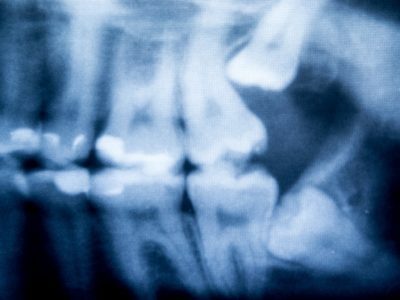 What should I do if I knock out an adult tooth? If you knock out a front tooth, time is very important. Do not go to the emergency room first – unless there are other more significant injuries to worry about. If the child is old enough and aware, the best thing to do is to place the tooth under the tongue to keep it warm and moist. If there is any reason to believe that the child might swallow the tooth, then placing the tooth in milk is also acceptable. Do not attempt to scrub or clean the tooth that has been knocked out. If the tooth is only partially knocked out or loosened, do not remove it. Simply leave it as is and get to the dentist as quickly as possible. In most cases, a tooth that has been knocked out can successfully be placed back in the mouth if done within a short period of time. How do I encourage my child to stop sucking her thumb? Thumb sucking is a concern because it can affect the growth patterns (jaw shape) and eruption of adult teeth. Some thumb sucking in very young children is not a serious problem. However, as the child approaches the age of five or so, thumb sucking should be addressed. In many cases, the child will simply outgrow this behavior or will stop on his/her own when starting school. In other cases, some parental intervention may be required. In our experience, we find we are most successful when the child wants to stop. Then some simple reminders are usually sufficient. Helpful reminders such as placing a sock over the hand at night, or applying a commercially available bad tasting nail polish is sufficient to bring the habit to the attention of the child. In cases where the child does not want to stop the habit, breaking the habit is difficult. You can purchase appliances that can be placed in the mouth to prevent or greatly discourage the child from thumb sucking. Tongue Thrust is the habit of forcing the tongue forward through the front teeth when swallowing rather than placing the tongue against the roof of the mouth. This is a concern because the force of the tongue can change the shape of the mouth and the position of the teeth. Addressing tongue thrusting can be done with behavior modification training or with tongue thrust appliances. What does tongue tied mean? Tongue tied is when the cord which attaches the bottom of the tongue to the floor of the mouth is too short or attached too far forward on the tongue. This can have a negative effect on speech. Correcting tongue tied is a very simple surgical procedure. Once patients correct the physical issue, they may need follow-up speech therapy to correct the learned speech patterns. Sealants, or Pit and Fissure Sealants, are preventative dental treatments. Children most commonly get their first cavity in the grooves of an adult tooth, the biting surfaces of the adult molars. Sealants are a thin plastic material that is flowed and bonded into the deep grooves to fill and seal the grooves, helping to prevent decay in this area. Sealants are very effective and should be done on all adult molars as they erupt. Sealants have been shown to have a one-year effectiveness of 83% in reducing caries. Research has also shown that children without sealants are 22% more likely to develop caries. Why do we bother to fix baby teeth if they’re going to fall out anyway? preserve the baby tooth as a space holder for the adult tooth that will be coming into that same spot. avoid slowing the eruption of the adult tooth. A space maintainer is a device used in the child’s mouth to hold the baby and adult teeth in their proper positions when a baby tooth is lost too early. Failure to hold the space for the adult tooth results in the adult teeth moving into the wrong spot and crowding out adult teeth that will be erupting later. My adult teeth look too big; is this OK? Adult teeth come in as full sized adult teeth, even though the child is not yet finished growing. Keep in mind that the mouth and face will continue to grow to adult size for years after the adult teeth have come in. When adult teeth first come in, they should look too large and crowded. The rest of the body will grow to fit the teeth. What are those white spots on the front of my adult teeth? White spots or “hot spots” on the front of the adult front teeth is fairly common. Typically these are caused by the child taking a tumble and hitting the front baby teeth hard enough that the root of the baby tooth bumped the adult tooth as it was forming and disturbed the formation of the adult tooth. These are usually not a concern and can easily be cosmetically corrected if desired. Are the spaces between my front baby teeth ok? Spaces between baby teeth are common as the child gets older. When the child is a baby, the jaw is small. As the jaw grows, the teeth do not, so spaces between the teeth develop. This is a good thing, as it allows more room for the adult teeth when they begin to erupt. What kind of toothpaste should children use? Toothpastes and mouthwashes for kids come with and without Fluoride, the anti decay ingredient in most commercial dental products. Fluoride plays a necessary crucial role in home care for preventing dental decay, but can be harmful if swallowed. Children need only a pea-sized dollop of toothpaste. We recommend parents to evaluate whether or not their children can “spit” excess toothpaste into the sink once they are done brushing, as younger children tend to swallow a bit of the toothpaste and can end up with a tummy ache. If they can spit toothpaste out, they should be using toothpaste formulated for children that contains fluoride. Should my child use a fluoride rinse or fluoride tablets? Fluoride hardens teeth, prevents cavities, kills bacteria, and helps to prevent or treat gum disease. We recommend using fluoride tablets until all of the adult teeth have finished growing (about age 18 – 20). If kids drink enough fluoridated water then they don’t need this fluoride supplement. Fluoride rinses can be a nice addition to the tablets for kids with cavities, braces, or poor brushing habits. If my child is taking fluoride tablets, does she still need the in-office fluoride treatment done by the hygienist? The in-office fluoride treatment provided by the hygienist as part of your child’s six-month hygiene appointment is a special fluoride designed to penetrate the outer surface of the tooth’s enamel and harden the teeth to prevent cavities. This is completely different than the tablets which primarily address teeth that are growing but have not yet erupted into your child’s mouth. Can you put kids to sleep for their dental work? We don’t recommend putting kids to sleep for dental work except in severe cases. If children are treated well in a trust-building, fun, non-threatening manner, they behave very well. We have often seen children who have had bad experiences with other dentists successfully turn into great patients for us without sedation. However, in some cases sedation is helpful; we do offer sedation with nitrous oxide (laughing gas). This is an extremely safe, quickly reversible, pleasant feeling gas that relaxes the child, decreases pain awareness, and creates an amnesia effect (the child does not remember the visit). Are parents allowed to be with the child during treatment? Since most of our staff are parents themselves, we certainly understand and support the parents’ desire to be present during treatment. However, with the exception of very young children (ages 1–3), most kids behave better if the parent is not present. We suggest that parents be present for the child’s first visit – the exam and during the start of any appointment so that we can discuss what will be done and answer any of your questions. We then suggest that parents slip out of the room when we are ready to start treatment. Our staff of dentists and hygienists are experienced and trained in helping kids through their dental visits. We suggest that you discuss this with the dentist who is working with your child. Does my child need to have a shot? Generally we do not routinely get kids numb for dental visits and they behave very well, but it all depends on the circumstances, such as the age of the child, the depth of the decay, and the previous experience of the child. In many cases, small cavities in baby teeth can quickly and easily be filled without giving the child an injection. The slight discomfort from drilling is less than what an injection could cause. We usually begin the child’s treatment without numbing the tooth and see how she does. My child has had bad experiences in the past and has been referred by our regular dentist to a children’s dentist. Can you see my child? Our staff includes dentists who are exceptionally good with children and have had successfully treated children who were referred to us by a different general dentistry. If you have concerns for your child’s dental appointment, please notify us so we can schedule her with one of our dentists who is exceptionally good with children.